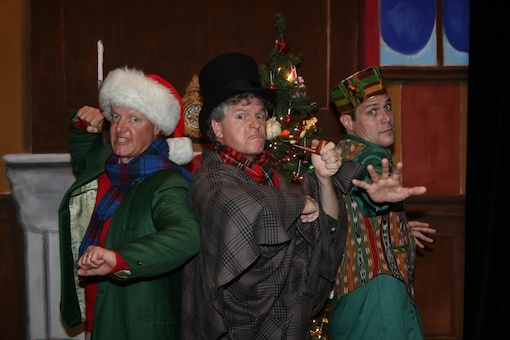 Reed Martin, Matt Rippy, and Austin Tichenor posed for some press shots in front of the set for their latest minimum opus The Ultimate Christmas Show (abridged). Pretty darn festive, ain’t it? 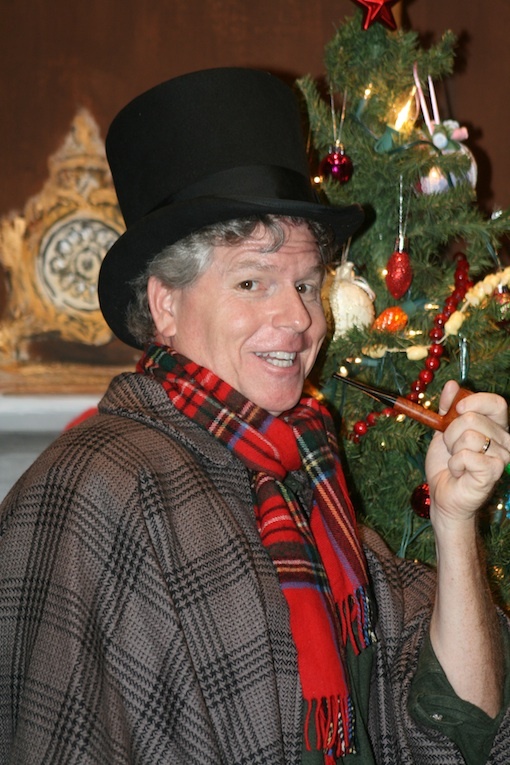 The RSC production of The Ultimate Christmas Carol (abridged) premieres at the Merrimack Repertory Theatre from November 25 – December 18. Come see us! Please tell your friends at the Public Theatre. We’d love to come back! We love you guys in Pittsburgh, PA. please bring Ultimate Christmas Show to Pittsburgh PA! Please tell the KenCen. If they book it, we will come. If you’ll bring Books to KenCen, please bring Christmas too!